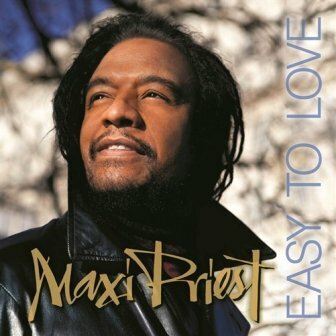 Maxi is back with his first new studio album in 5 years titled Easy To Love. Twelve new songs highlighting Maxi’s earliest musical influences; roots reggae and lover’s rock. The songwriting and production also feature some of the genre’s best talents including; Colin ‘Bulby’ York, Handel Tucker (who produced Maxi’s classic hit “Close To You”) and Donovan Germain. Easy To Love is a fresh sound from one of the genre’s most familiar voices. Be among the first to receive Maxi’s new single, a cover version of the John Mayer hit “Gravity” (emailed as a high resolution mp3 file) and an autographed copy of “Easy To Love” on CD when you order before April 30, 2014. Get in on this exclusive offer NOW!